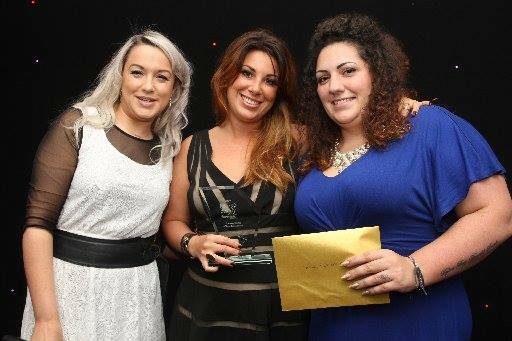 ITV’s Beauty Expert, Gina Akers announces the Permanent Makeup Training Academy, Founded by Katy Jobbins, As the Winner of the ‘Training Centre of Excellence’ Award at the 2016 etc Magazine Hair and Beauty Awards! Katy Jobbins Pictured above (middle) receiving the award from Gina Akers (left) & representative from award sponsors Brillbird Hampshire Education (right). This award was to reward & recognise those who train the future stars within the beauty industry. The judges were looking for an establishment or individual who could demonstrate effective delivery of their courses and training with a focus on ensuring their students always achieve and realise their potential. ‘It’s amazing to see that my hard work and love for what I do is being recognised yet again. I love empowering my students to become the best they can be, and once again the results that both my students and my training centre has had over the last 12 months has exceeded everything I could have imagined. 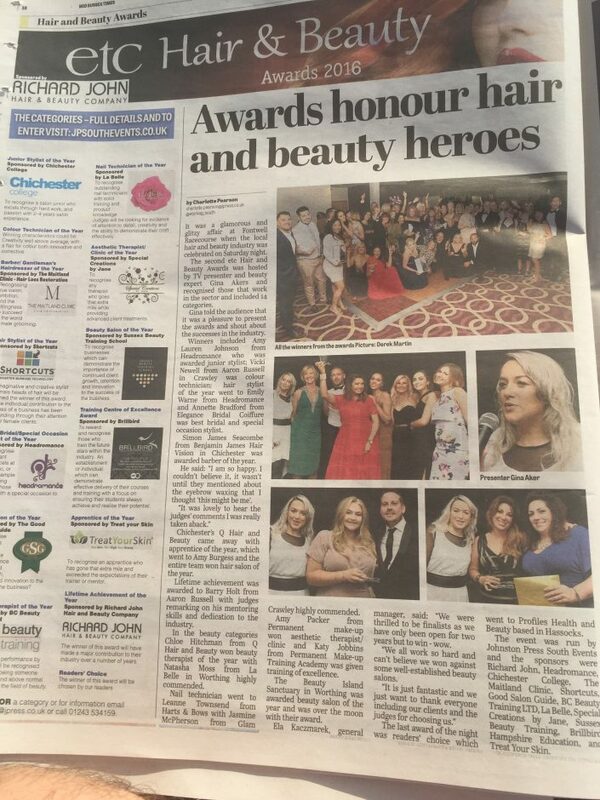 Seeing my own students winning awards and being voted the best of the best, to them enhancing so many ladies lives with the results of the permanent makeup treatments they offer, always puts a smile on my face. 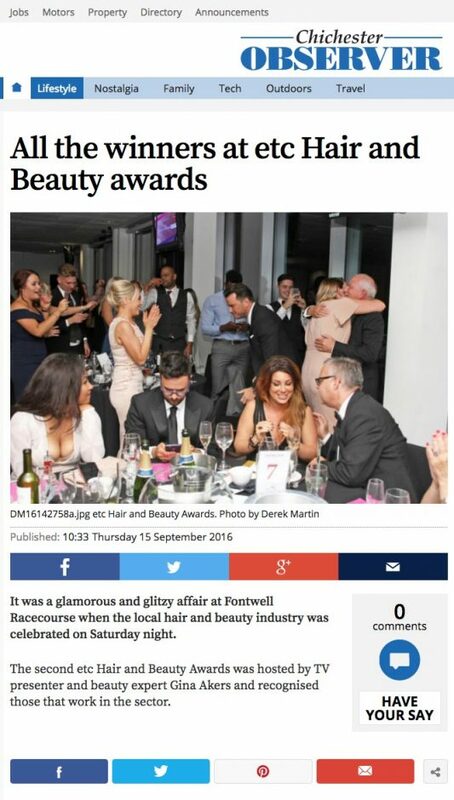 Katy’s win gained press coverage in hundreds of thousands of papers across the county and her picture featured across all publications and the Good Salon Guide’s website as the main image for the awards night. 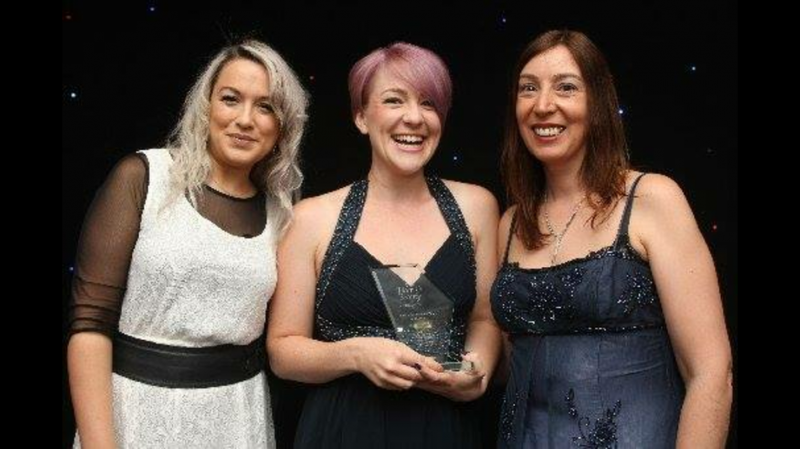 To top off the night Amy Packer, who originally trained with Katy Jobbins at the Permanent Makeup Training Academy, around 3 years ago, was awarded the Aesthetic Clinic of the Year award for her Permanent Makeup Services, retaining her title as she also won this same award in 2015. Congratulations Amy, keep up the good work.